“I keep thinking she's gonna come home. She never does,” says the man who calls himself Stan. He has called a crisis hotline and is talking to Heather, a sympathetic operator who listens patiently as he pours out his grief over the loss of his wife, and his deep loneliness.. Heather, played by the remarkable Sally Hawkins, learns that Stan (the voice of Jim Broadbent) has taken an overdose of pills and refuses to give his address so she can send an ambulance. All she can do is listen, with delicate empathy. Over the duration of the call, the two forge a meaningful connection. Mat Kirkby and James Lewis' heartbreaking 21-minute duet from the UK, The Phone Call, is one of the highlights of this year's program of Oscar Nominated Live Action Shorts, showing at the Capitol Theatre Friday, January 30 through Wednesday, February 12. Short films are the unsung heroes of the Academy Awards — brief, pithy dramas that don't waste time with music-video sequences, elaborate car chases or other filler. 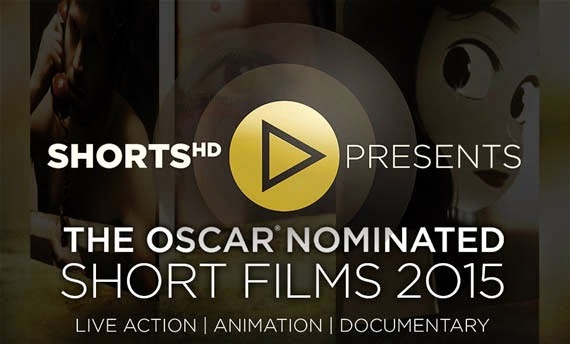 Cleveland Cinemas' annual showing of the nominated shorts, in animated, live action and documentary categories, is, for me, the best part of the awards season. If there is a theme to this year's nominees, it is “connection.” In Oded Binnun and Mihal Brezis' winsome 39-minute Aya, from Israel, a lonely young woman picks up a Danish music researcher from the airport, pretending to be his driver. On the way to his Jerusalem hotel, the two form an unusual bond, Talkhon Hamzavi and Stefan Eichengerger's Parvaneh tells the story of a young Afghani immigrant making her way in the unfamiliar surroundings of the Swiss Alps. Parveneh, whose name means “butterfly,” has a rudimentary understanding of the Swiss language, but is flummoxed by the culture. She finds an unlikely companion in a rebellious young woman she meets on the street, who takes her clubbing and helps her wire money back home. The program also includes, from France and China, La Lampe Au Buerre De Yak, or “Butter Lamp,” Hu Wei's charming film in which a photographer and his assistant take portraits of Tibetan nomads against various backdrops (ranging from landscapes to Disneyland). One elderly woman, who has never had her picture taken before, reflexively prostrates herself before the backdrop image of Tibet's Potala Palace. “It's her dream to visit Potala Palace one day,” her grandson explains. Michael Lennox and Ronan Blaney's Boogaloo and Graham, from Ireland, tells the story of two young brothers in 1978 Belfast, whose father gives them chickens to raise. They name their beloved birds Boogaloo and Graham, and are heartbroken when their parents, announcing the impending arrival of a baby, announce that the chickens must be killed. Set against a backdrop of Northern Ireland violence, this charming memory play is a metaphor for mercy.